Mr Tho's Bungalow is a popular choice amongst travelers in Muang Khong, whether exploring or just passing through. The property features a wide range of facilities to make your stay a pleasant experience. Ticket service, 24-hour front desk, Wi-Fi in public areas, car park, room service are there for guest's enjoyment. All rooms are designed and decorated to make guests feel right at home, and some rooms come with mirror, towels, internet access – wireless, non smoking rooms, air conditioning. Take a break from a long day and make use of fishing, massage, garden. 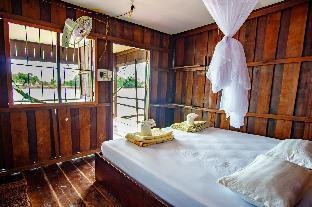 Convenience and comfort makes Mr Tho's Bungalow the perfect choice for your stay in Muang Khong.